Brisbane, We Just Got A HUGE New Foodie Destination! Cast your minds back to a few weeks ago guys, when Brisbane’s favourite (and downright iconic) market space, Eat Street Markets announced their temporary closure to undergo a mammoth facelift. Fast forward to right now, and holy hell, have they done some work. 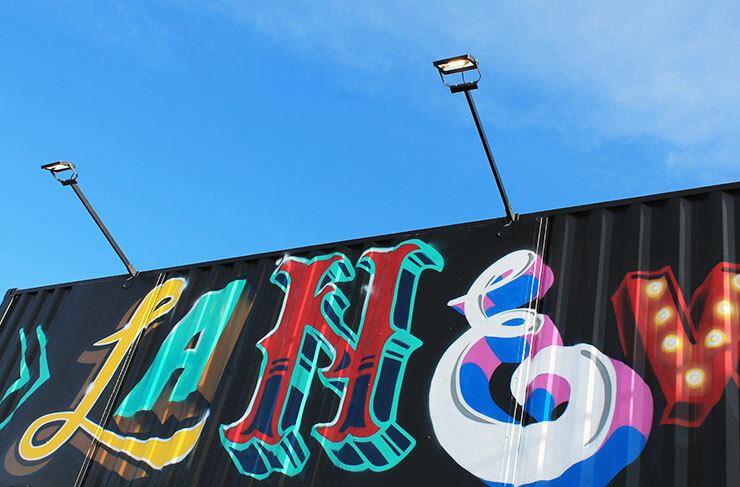 No longer residing in the original market space, the Eat Street team have moved literal heaven and earth (shipping containers included) half a kilometre up the road, and are unveiling their incredible new riverfront space this weekend! Doubled in size, Eat Street is now the largest foodie destination in Brisbane. Reminiscent of the famous Box Parks in London, Eat Street 2.0 has moved away from their humble beginnings as a market stall-style space, evolving to encompass just shy of 100 vendors, with permanent bar and restaurant spaces, exclusive boutiques, an outdoor cinema, stunning function spaces for private hire AND a mammoth music stage—they’ve even got City Cat access! The huge designed space will combine all of our favourite OG food and drink vendors from the original Eat Street Markets (plus some fabulous new faces), and will now be able to cater to thousands more hungry Brisbanites at any one time (yes, they’ve solved the parking issue, FYI). With an invite-only soft launch happening this weekend for friends and family, prep those appetites for next Thursday night!